In an embarrassing incident that took place over Spring Break, the newly elected president of the University of Florida student body was arrested in Key West. The Palm Beach Post reported that the 22-year-old man was heavily intoxicated as he attempted to start and ride several motorcycles that were parked in the street by their owners. He became upset when the engines would engage, so he knocked over a few vehicles in frustration. Key West Police apprehended the individual and charged him with criminal mischief, a minor charge that typically includes punishment of a fine, probate, and/or community service. However, because there was damage to a number of motorcycles, the Florida man may be required by law to pay the owners for repairs under the legal concept of restitution. In addition to the appropriate punishment as designated by statute, Florida courts must order the defendant in a criminal case to pay restitution to a victim who suffers losses related to the crime – whether directly or indirectly. This Restitution Order will include the details about the value of the damage, the name of the victim, and how the offender will pay the aggrieved person. It may require the whole amount to be paid within a specific time period, or order installment payments. The payment time period designated in the Restitution Order cannot extend beyond five years or the end of any probation period. When a Restitution Order is issued, it creates a right for the victim that’s similar to a judgement in a civil case. The aggrieved party can enforce that right through the civil collection process, which may include recording a Restitution Lien. The lien is essentially an encumbrance of any property acquired by the defendant after the court issues a Restitution Order, and will last up to 20 years or until such time as the restitution is paid in full. Any outstanding balance of the restitution amount does bear interest in accordance with state law, which is based upon the federal interest rate. If the criminal defendant’s sentence includes probation, restitution becomes part of the probation conditions. The offender will remain on probation until the full restitution amount is paid. The court also has the option to revoke probation if the defendant fails to comply. 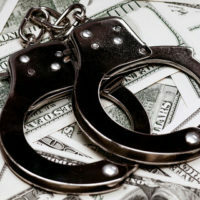 Even if the underlying charge is minimal, you may be on the hook to pay restitution if you’re convicted of a crime that results in property damage to a victim. The restitution order can have a long term impact if you’re unwilling or unable to pay, so it’s important to understand your obligations. An attorney with experience in Florida criminal defense cases will review your case and advise you on your options for resolving a restitution matter. For more information on how restitution works, please contact attorney Kevin J. Kulik. We’re happy to answer your questions or schedule a consultation at our Fort Lauderdale office.